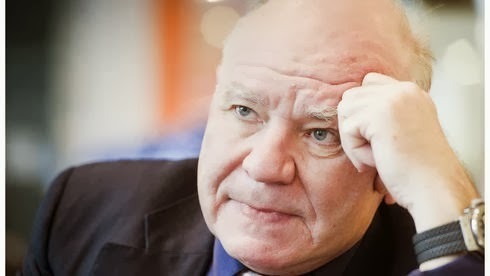 Marc Faber the prestigious Swiss financial guru and publisher of The Gloom Boom & Doom Report suggests that the Chinese yuan is a serious competitor to the U.S. dollar and as a hedge against extreme situations Swiss guru recommends investing in gold . " Owning physical gold is my insurance against crimes committed by governments. An insurance against failed states or hyperinflation , " Faber says adding that governments will never admit that they made a mistake, but rather look guilty . Marc Faber says the Fed for 20 years a policy of monetary expansion and interest rates have been kept artificially low , practically zero percent today . " The artificially low interest rates and bond purchases have skyrocketed the prices of stocks and real estate. But the economic impact has been relatively small . Milton Friedman's " Capitalism and Freedom " wrote that the problem with government programs that implemented , is always initiated due to an emergency , but not abandoned when it ends . Therefore, the state increasingly inflated , and the Fed , he is becoming increasingly difficult to end this policy. " Faber believes that in Malaysia , Thailand , Hong Kong , Singapore , there are many stocks that have a dividend yield of five percent . Also considered interesting the Vietnamese market . Japan on the other hand not enthusiastic , but believes that the Nikkei would work better than other markets. "We are going through a sideways market . It was the same in the seventies , early in my career , but there are opportunities. Some industries developed greatly in this sideways market . " On investment in China noted that " China's rise is amazing. Just look at what China does in Africa , build bridges in six months, while the World Bank takes six years. What Chinese companies now offer not provide any American or German . They work in the Gobi Desert , with three shifts at minus 20 degrees . His speed and ability to sacrifice are unique. This does not mean it will always continue so also do not think the current statistics . " "China actually grows to a maximum of four per cent per annum. And in recent years , have extended the debt. With a large amount of money can always inflate growth. This is not only a problem that is of in China. The same has happened in the U.S. since the early eighties. Just calculate how much it has only increased U.S. consumer debt during this period, which downplays the growing tremendously. But you can not keep playing forever. " Faber says that " In many sectors of the global economy , China is now more important than USA . The U.S. economy depends heavily on the service sector. But if China demanded fewer raw materials affect everyone . Each time you use more the yuan in trade as freely convertible currency , will become a serious competitor to the dollar. " who insures me against Dr Dooms consistent panic driving? First, gold was said to go up. Now its an insurance only. And tomorrow? A Lego substitute for bigger kids? I had money, then I read Doom and now I have a lot less. Thanks a lot! sideways? he said CRASH all year! Great post! I appreciate your effort in posting this informative article here. Thanks for sharing.